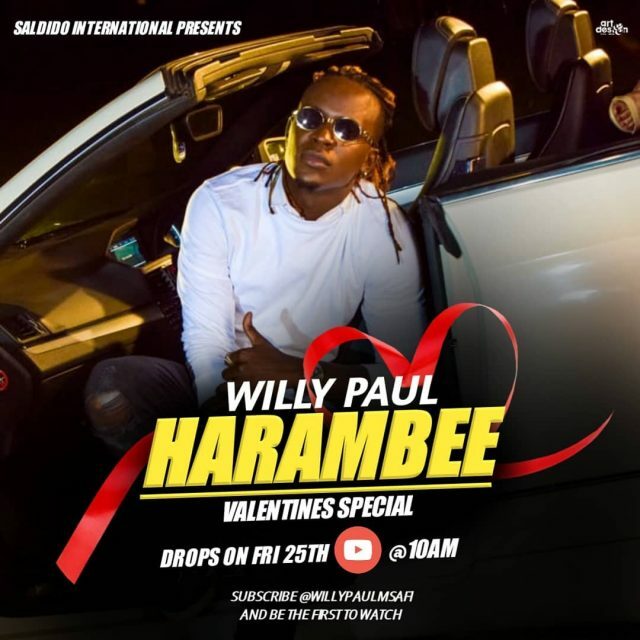 Kenyan gospel award winning artist Willy Paul has kick stared his new year 2019 in style with a brand new single dubbed “Harambee”. Harambee speaks of a man who is willing to do anything just to impress his lady. In this case, Willy Paul speaks of organizing a fund raiser to raise the required cash to enable him do great and romantic stuff to his woman. This entry was posted on Tuesday, January 29th, 2019 at 2:45 am	and is filed under updates. You can follow any responses to this entry through the RSS 2.0 feed.